In 2015, the Volkswagen Group remained Europe’s largest carmaker, Volkswagen the best-selling brand and the VW Golf the top-selling model. New passenger vehicle registration in the European Union (EU) and EFTA increased by 9.2% to 14,202,024 cars in 2015. Almost all carmakers increased sales but the smaller manufacturers gained more than the larger brands that mostly underperformed the broader market. Excludes smaller brands selling fewer than 39,000 cars in 2015. There were hardly any changes in the rank order of the best-selling carmakers in Europe in 2015 compared to a year ago. The Volkswagen Group easily remained Europe’s largest car manufacturer although all brands in the group, except Porsche, underperformed the broader market. 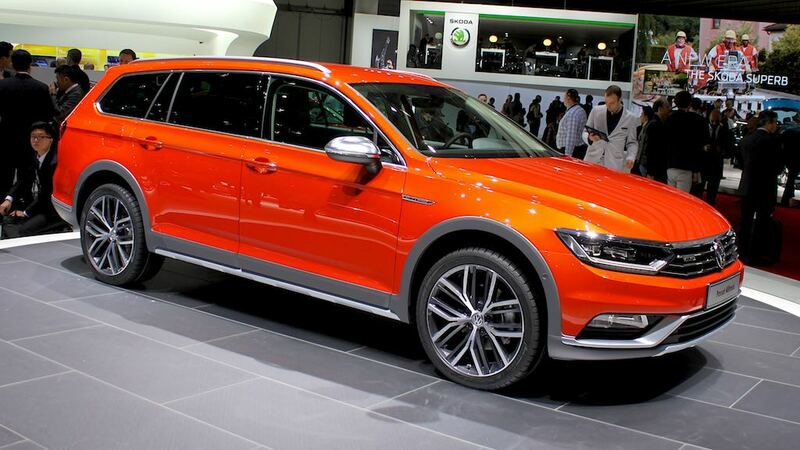 Although sales increased by more than 200,000 cars, the Volkswagen Group’s market share shrunk from 25.5% to 24.8%. Volkswagen especially slipped behind the rest of the expanding market during the final quarter of 2015 with the uncertainty introduced by the emission scandal likely to continue into 2016. The PSA Group also underperformed the broader market in Europe in 2015. Peugeot sales were near market average but Citroen sales remained weak with DS the worst performing brand except for Lancia/Chrysler. The Renault Group outperformed the market with sales of Renault branded cars particularly strong. Ford sales increased inline with the market. Opel Group sales were flat with the withdrawal of Chevrolet mainly causing the weak comparative statistics. Opel / Vauxhall sales increased inline with Volkswagen. Sales of the BMW Group increased by 12%. BMW-branded cars sold 10% more and Mini sales increased by a fifth. The FCA Group also had stronger sales with Fiat sales up 12% and Jeep sales more than doubled. Lancia / Chrysler and Alfa Romeo were two of only four brands with weaker sales in Europe in 2015. Daimler was the most improved of the larger manufacturing groups. Mercedes Benz sales were up 13% – stronger growth than BMW and almost double the increase registered by Audi. Smart sales improved by nearly three quarters. Toyota Group sales were below market average although Lexus sales were up by a quarter. Nissan had strong sales and narrowed the gap to Toyota to only 8,000 cars – the Nissan Qashqai was frequently in the top-ten list of most-popular car models in Europe in 2015. All the smaller car manufacturers had much stronger sales in Europe with the exception of Honda. Honda sales were down 1.4%, which allowed Mitsubishi to outsell Honda in Europe in 2015. This was the only rank change of carmakers in Europe in 2015. There were only minor changes in the rank order of the top-20 best-selling car brands in Europe in 2015. None of the top 20 brands had weaker sales. Of the top six brands, only Renault outperformed the broader market resulting in Renault and Opel swapping rank positions from a year ago. BMW and Mercedes had strong sales and narrowed the gap to Audi, which had the weakest sales increases of the top-10 brands. Strong sales of Nissan cars allowed the Japanese brand to overtake Citroen and to move to within 8,000 cars of Toyota. The only other rank order changes were Kia narrowly outselling Dacia in 2015 and a strong performance taking Mini ahead of Suzuki. The Volkswagen Golf remained easily the most-popular car model in Europe in 2015 for the eighth consecutive year.